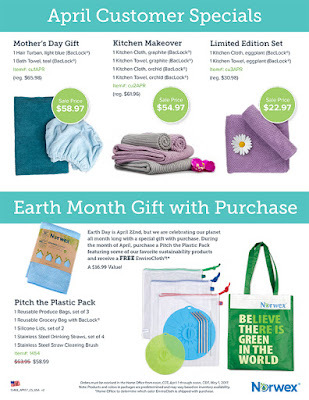 Earth Day is April 22nd, but we are celebrating our planet all month long with a special gift with purchase. During the month of April, purchase a Pitch the Plastic Pack featuring some of our favorite sustainability products and receive a FREE EnviroCloth®! * A $16.99 Value! Orders must be received in the Home Office from noon, CDT, April 1 through noon, CDT, May 1, 2017. Note: Products and colors in packages are predetermined and may vary based on inventory availability. *Home Office to determine which color EnviroCloth is shipped with purchase. *Before shipping and handling and applicable tax. Available noon, CDT, April 1 to noon, CDT, May 1, 2017, or while quantities last. 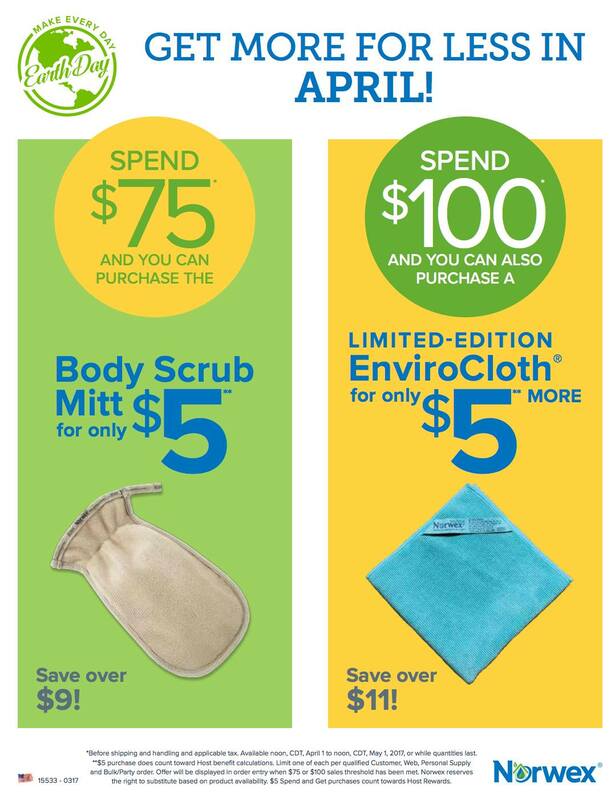 **$5 purchase does count toward Host benefit calculations. Limit one of each per qualified Customer, Web, Personal Supply and Bulk/Party order. 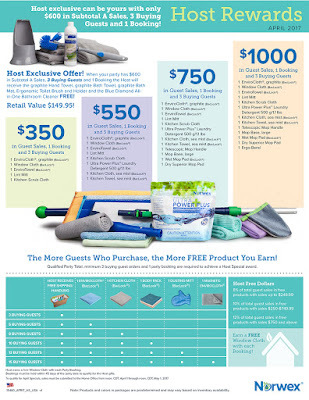 Offer will be displayed in order entry when $75 or $100 sales threshold has been met. Norwex reserves the right to substitute based on product availability. 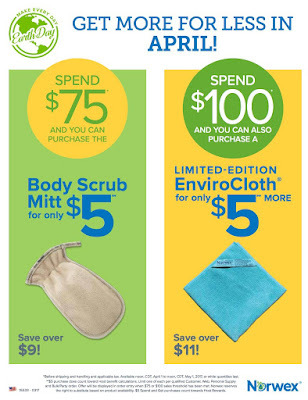 $5 Spend and Get purchases count towards Host Rewards. 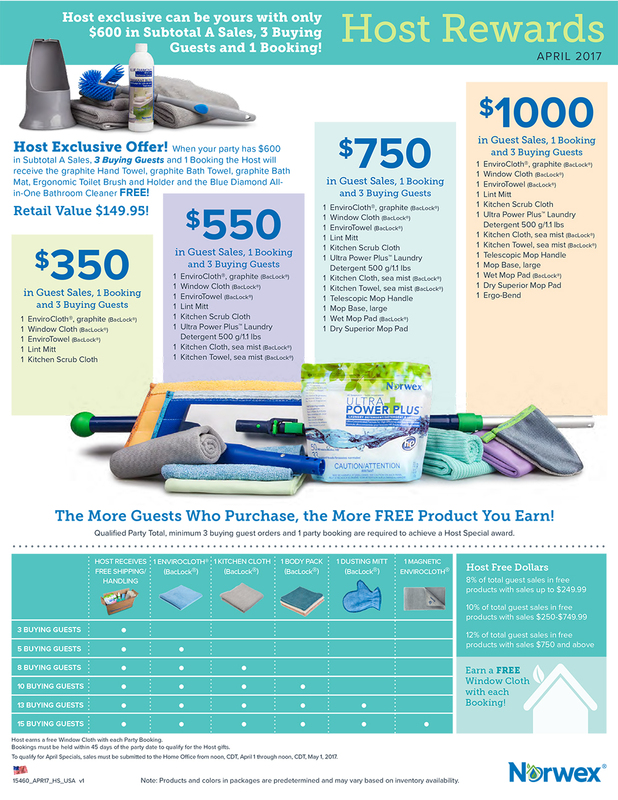 When your party has $600 in Subtotal A Sales, 3 Buying Guests and 1 Booking the Host will receive the graphite Hand Towel, graphite Bath Towel, graphite Bath Mat, Ergonomic Toilet Brush and Holder and the Blue Diamond All- in-One Bathroom Cleaner FREE! Retail Value $149.95! All parties must be submitted to the Home Office from noon, CST, April 1 through noon, CST, May 1, 2017.